The award-winning comedian woos the crowd with new material in the wake of sexual misconduct allegations. 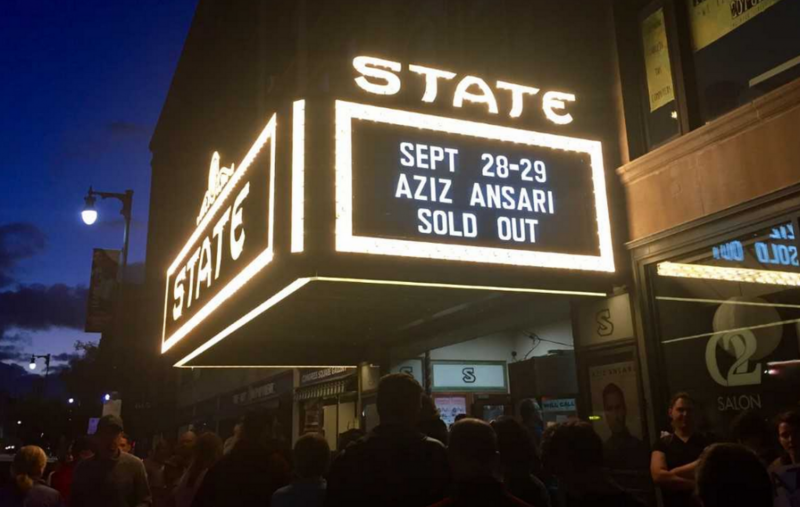 Comedian Aziz Ansari got a warm reception Saturday evening at the last of three sold-out shows at the State Theatre over the weekend, for what was most definitely an unpolished performance. Judging by Ansari’s output Saturday – appending a week that included the dramatic Ford-Kavanaugh Senate hearings and Bill Cosby’s sentencing to three to 10 years for aggravated indecent assault – it could be called his “Do You Still Like Me?” tour. 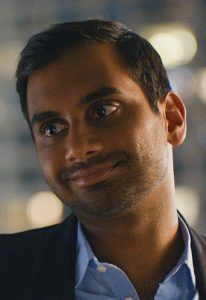 Ansari, who played the sarcastic Tom Haverford in the former NBC sitcom “Parks and Recreation” and stars in his own Netflix series, “Master of None,” was accused of sexual misconduct by a 23-year-old New York photographer in an article published on the website Babe. The photographer, whose real name was withheld from the article, said she went on a date with Ansari after meeting him at an Emmy Awards after-party and felt pressured into sexual activity with him. The award-winning performer kept a low profile for a few months, then resurfaced in May to do stand-up shows in New York City. The “Working Out” tour started in August. Saturday evening, several people among the showgoers streaming into the 1,300-seat theater dismissed the allegations against Ansari, saying his actions resulted from miscommunication. “She could have left at any time,” one woman said. Three protesters stood quietly in front of the theater on Congress Street. One held a sign accusing Ansari of sexual misconduct. Ansari didn’t address the allegations during Saturday’s show, as news outlets have reported he hasn’t at shows in other cities. He came close, during a riff on diversity, when he expressed frustration in the effort to meet shifting demands of political and social correctness. Ansari seemed less cocky and more laid back than usual, thanking people for coming out and saying he was “truly flattered” to sell out multiple shows, which he has done in other cities on this tour. He dipped a toe in topics such as conspiracy theories, bad song lyrics and the way social and news media are ever-present in our lives. More well-formed bits delved into racism, interracial relationships and contraceptive sexism, when he frankly discussed experiences with his new Danish girlfriend. Ansari interacted regularly with the audience, as usual, seeking feedback from the first few rows on a variety of topics. At one point, he asked what people thought of having their cellphones locked in Yondr pouches to keep them from being used during the show. This audience member in the nosebleed seats was among those who raised a hand in disapproval.